Bringing its advocacy of health and fitness closer to more Filipinos, Golden Fiesta, the Philippines’ leading cooking oil brand, is holding the first leg of the Golden Fiesta Heart Healthy Camp at Solenad 1 in Nuvali, Laguna, on Saturday, November 11. The free-admission fitness camp is expected to gather—in a single venue—not just scores of fitness enthusiasts but legions of young professionals who want to be heart-healthy by jump-starting a fitness regimen. Participants can choose from an assortment of fitness routines and activities that are categorized into beginner, intermediate, and advance levels to suit their varying fitness requirements. They can also listen to and engage in “Heart Talks” to be administered by licensed Nutritionist-Dietician and fitness specialist Fia Batua. 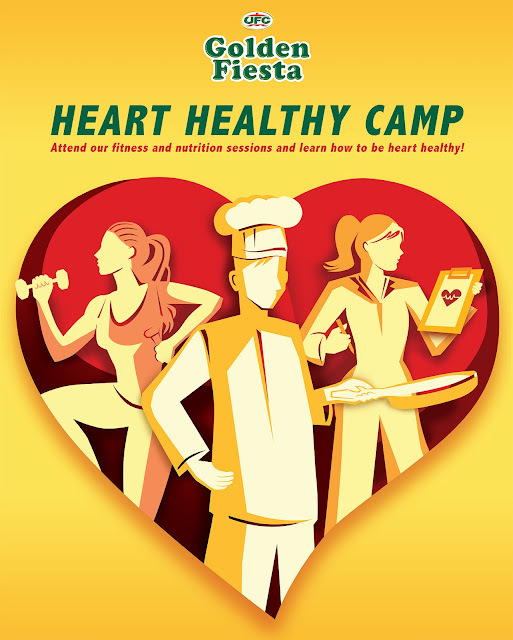 Apart from the workout activities, a live cooking demo and food sampling using heart-healthy Golden Fiesta Canola Oil by NutriAsia will be conducted by Pinoy celebrity chef and fitness buff Jose Sarasola. Participants will learn how to prepare simple, heart-healthy meals like Golden Fiesta Lettuce Salad with Guyabano Vinaigrette, Golden Fiesta Bangus Back Fillet and Adobo Kangkong Duo, and Golden Fiesta Japanese Chicken Katsu in Curry Sauce. Golden Fiesta Canola Oil is a rich source of the cholesterol-reducing phytosterols, an all-natural plant extract that can reduce your body’s cholesterol level by as much as 15 percent. Scientific studies and trials show that consumption of two grams of phytosterols per day has the potential of diminishing one’s risk of developing coronary heart disease. Interested participants may sign up at the registration area at Solenad 1-Flex Lot, Nuvali on Nov. 11 as early as 6 a.m. They will get a free test to check their current fitness status using Golden Fiesta’s Karada machines before proceeding to a warm-up session. They will also be given a special event passport that will be stamped after finishing each fitness activity. The Golden Fiesta Heart Healthy Camp at Nuvali will run until 11 a.m. According to Carl Constantino, category marketing manager at NutriAsia, the Golden Fiesta Heart Healthy Camp is the brand’s way of reaching out to Filipino consumers, encouraging them to be more mindful of their food choices and to maintain an active lifestyle despite tight schedules. “We are encouraging everyone, particularly residents of Laguna and nearby cities and municipalities, to drop by Nuvali, the first destination of our Golden Fiesta Heart Healthy Camp, on Nov. 11,” Constantino said. After the Nuvali leg, the Golden Fiesta Heart Healthy Camp will proceed to Track 30th at Bonifacio Global City in Taguig on November 26 (Sunday) and to Eton Centris Walk in Quezon City on December 3 (Sunday). The Golden Fiesta Heart Healthy Camp is coming soon to a venue near you, so make sure to check out Golden Fiesta’s Facebook page https://www.facebook.com/GoldenFiestaPH/ for updates on upcoming legs. 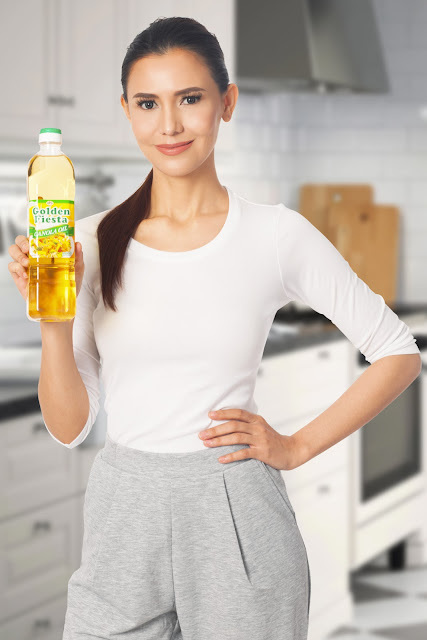 Golden Fiesta by NutriAsia, the country’s number one cooking oil brand, is available in leading supermarkets nationwide. NutriAsia is a powerhouse of beloved, timeless, and iconic Filipino food brands, including Datu Puti, UFC, Silver Swan, Papa, Jufran, Mafran Mang Tomas, and Golden Fiesta.